HomeGoogle and the multi-billion dollar pay-per-click money tree. 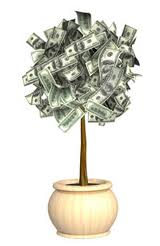 Google and the multi-billion dollar pay-per-click money tree. It’s no secret that Google has been trying to diversify its revenue stream away from clickthrough advertising, which historically has accounted for the overwhelming majority of its income. Consider this statistic: In 2011, nearly all of Google’s revenue came from online pay-per-click advertising, as reported by SEO firm WordStream. Now let’s look at 2014 figures: WordStream reports that the percentage of Google revenues from pay-per-click advertising is actually higher than in 2011, at 97%. Within PPC advertising, a number of keyword terms are continuing to haul in the big bucks for Google. A few years back, the priciest keyword term of all was mesothelioma, at more than $100 a click. Mesothelioma continues to attract a lot of ad dollars, but it’s no longer commanding $100 a pop as it once did. In fact, it’s no longer on the Top 10 most expensive keywords list. In developing the ranking, WordStream determined which keywords reside in the stratosphere by compiling data from its own large keyword dataset and the Google Keyword Tool (over a 90-day period) to determine the 10,000 most expensive keywords. These were then organized into categories like “credit” and “insurance” by weighting the number of keywords in each category, estimating the monthly search volume as well as the average cost-per-click for each keyword. Notice the preponderance of financial and legal terms – both of them key to sectors that attract and manage a ton of money. The word degree is right up there, too, underscoring how important the educational complex has become to the ad business. It must be pretty unappealing to be active in these industries and have to pony up such big dollars to participate in the pay-per-click advertising space. But how else do we think Google racks up annual advertising revenues that are north of $32 billion? How does the market sort out which keywords are worthy of commanding $40 or $50 per click? Essentially, it boils down to this: Invariably, the most expensive niches paying for the most costly keywords are ones with very high lifetime customer value – where the customer pay-off is high. Think about it: The amount of money an insurance company gets from an individual signing up for coverage makes the high cost-per-click rates – even at $50 a pop — worth it. Business observers point to long-range trends that may make search engine marketing increasingly irrelevant as the growth of multichannel, multi-device marketing picks up steam. But don’t hold your breath; Google will likely be earning billions off of pay-per-click advertising for years to come. ← Bird dropping: Instagram overtakes Twitter in the social media derby.